National University of Science and Technology MISiS. MISiS is in 19th place in a new Times Higher Education list. 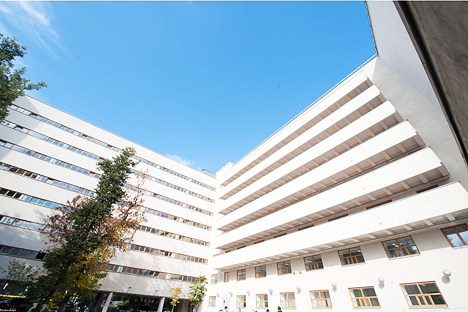 Moscow's National University of Science and Technology (MISiS) took 19th place in the inaugural Times Higher Education’s World’s Best Small Universities Ranking 2016, which was published on Jan. 25. According to Times Higher Education (THE), small universities are defined as those having fewer than 5,000 students, and conducting courses and research in more than four disciplines. THE lists only 20 small universities in its Top 800 World University Rankings. The list has five institutions from the U.S., three from France and Japan, two from India, Turkey and one each from South Korea, Sweden and Switzerland. In December 2015, 15 Russian universities made it to the 2015-16 Times Higher Education BRICS & Emerging economies university rankings. And in November, the National Research Nuclear University (MEPhI) jumped almost 60 places to get the 36th rank in the Times Higher Education World Top 100 Rankings for Excellence in the Physical Sciences for 2015-16.